With IFA 2015 just around the corner, more manufacturers are unveiling their new products. 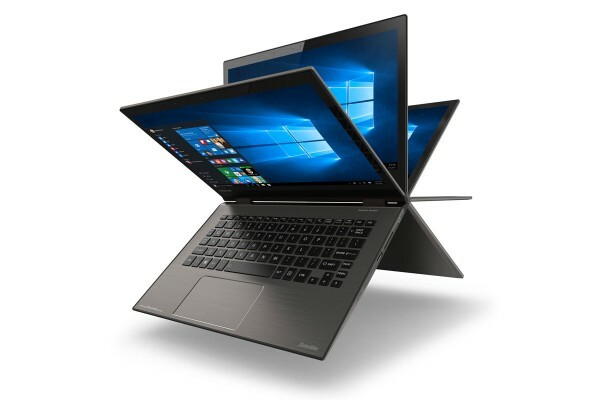 Toshiba, in particular, has showcased a new laptop: the Satellite Radius 12. According to the company, it is the world’s first 12.5-inch convertible with a 4K display. Yes, we’re talking about a 3840 x 2160 resolution display on a 12.5-inch panel. With a pixel density of 352ppi, it almost has the same sharpness as a smartphone with a 6-inch 1080p display. While having a 4K display on a mobile computer is still questionable (seeing how battery life will suffer), there’s no doubt it’ll be a nice display to look at. Those who prefer a longer battery life can opt for a 1080p variant of the Toshiba convertible instead. As for its other specifications, the Satellite Radius 12 can be equipped with an Intel Skylake processor up to Core i7, up to 8GB of RAM, and impressively, a USB Type-C port as well. There will also be two other USB 3.0 ports and a HDMI output, all packaged in a 15mm thin chassis. What makes the Satellite Radius 12 even more interesting is the fact that it supports Windows Hello. Usually, Windows machines that support this feature will have an Intel RealSense camera equipped, but Toshiba has yet to clarify if this is the case with its latest convertible. 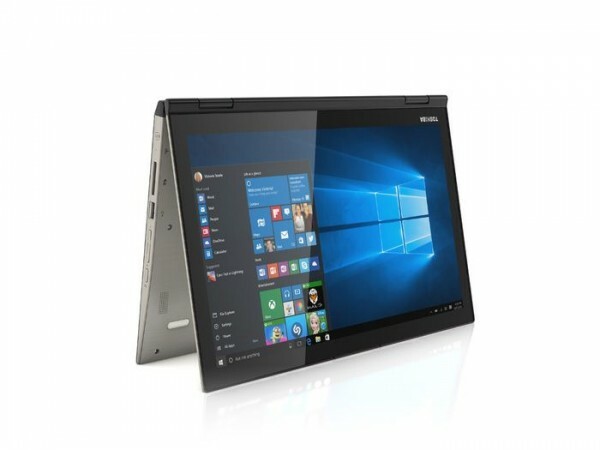 The Toshiba Satellite Radius 12 is set to hit the US market in the fourth quarter of 2015. No word yet on its retail price and availability in Malaysia.